Persian rugs are traditionally from Iran where they are hand-woven by skilled artisans. These carpets are popular in Western homes for their beauty, craftsmanship, quality and rarity. As a result, they can be costly. When shopping for a Persian carpet, you’ll find many variations in design, colour, material and weave. 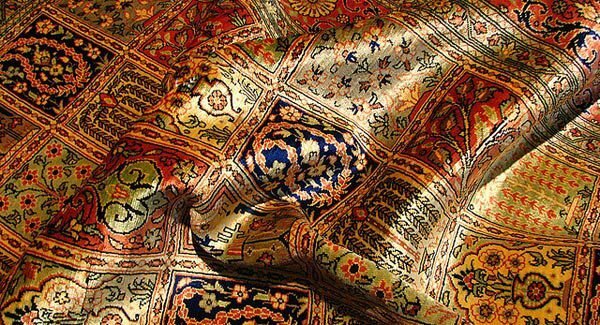 To make sure that you buy a genuine Persian carpet rather than a mass-produced knock-off, learn the signs of a quality Persian carpet, and what you should avoid. The price of a Persian carpet is determined by a number of factors, including its age, quality and design, as well as the materials and dyes used. To get an idea of what a good quality Persian carpet looks like, visit more expensive shops, then look around for dealers who offer a better price. The age of a Persian carpet can be determined by looking at the knots. 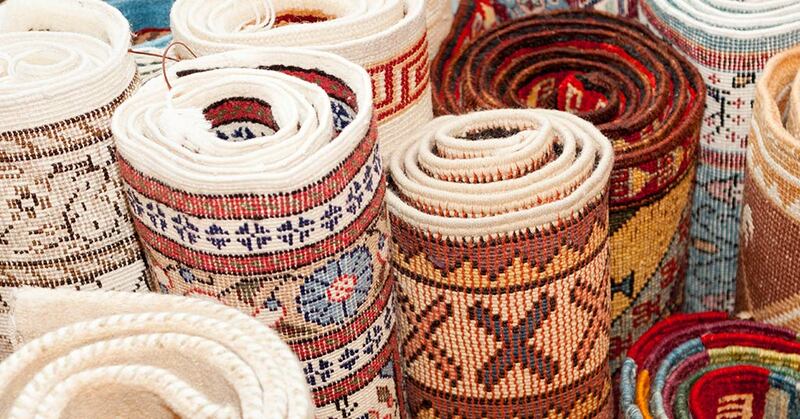 Single looped knots were traditionally used by Persian rug-makers, and are an indication that the rug is an antique. You can expect to pay more for an antique Persian carpet, particularly one that is in good condition. Although provenance may influence someone’s decision to buy a particular Persian carpet, it should not be a determining factor when you shop around for a Persian rug for your home. If you want to buy a Persian carpet as an investment, look for a handmade carpet. A hand-woven carpet can take anywhere from eight months to a number of years to complete, while machine-woven carpets can be produced in seconds. The difference in quality, though, is significant. 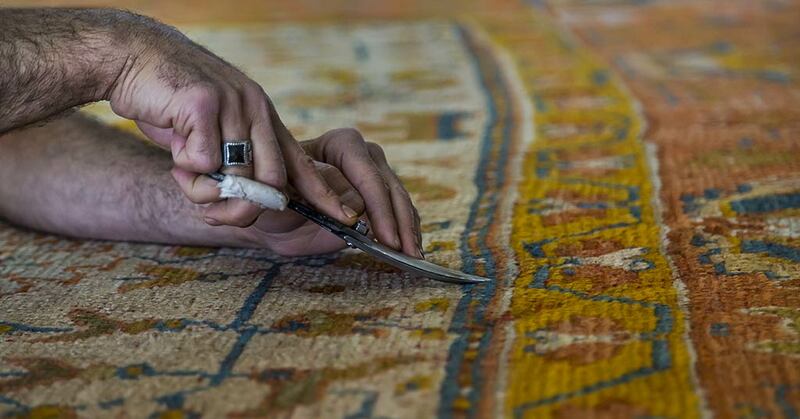 You can usually determine whether a Persian rug is handmade by examining the knots on the underside of the rug. As a rule of thumb, look for at least 18 knots per cm2. Beware of suspiciously uniform knots, as these indicate a machine-woven rug. Another way to identify a genuine, hand-knotted Persian carpet is to check if the pattern is visible through the backing. If the design shows through, the carpet is likely handmade. Machine-made rugs tend to have thick backing, which will not allow the pattern to show through. 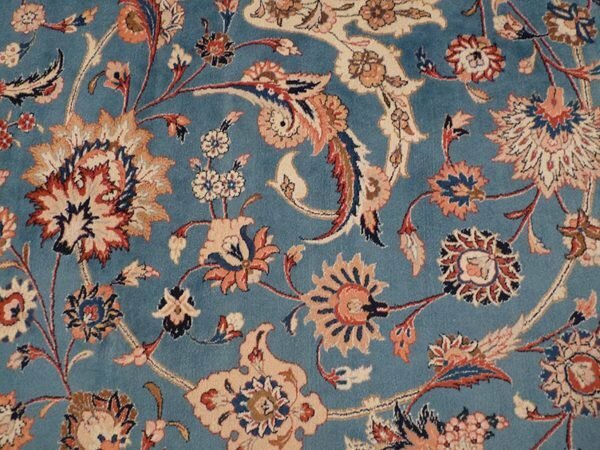 To determine whether a Persian carpet is genuine, look for a label on the back of the rug. The label will identify the country of origin. 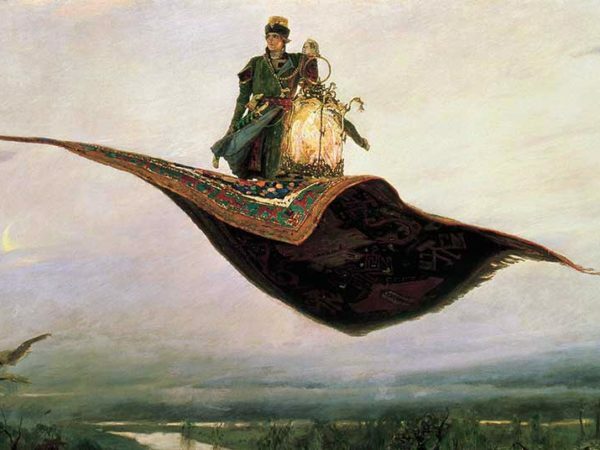 If the rug is not from Iran, but was made in Turkey, Afghanistan, Pakistan, the Caucasus, India, or Nepal, it is considered an Oriental carpet, rather than a Persian carpet. Most Oriental carpets are made from wool, cotton, silk, jute, animal hair, or a combination of these. Persian carpets are most commonly made from wool, including camel hair wool, Manchester wool and Kork wool. Cotton Persian carpets are also common. However, wool is more resilient and holds its value better than cotton. 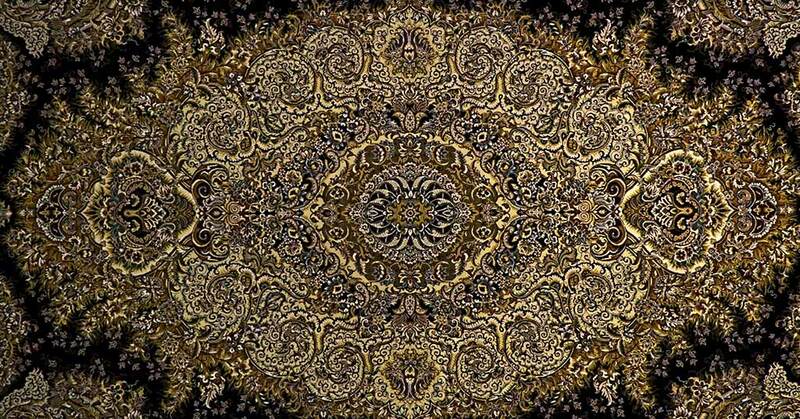 Silk is the most luxurious material used for Persian carpets, and these rugs are more expensive due to their rarity. If you opt for a silk rug, beware that these are not as durable as wool and cotton, so avoid using them in high-traffic areas. Older Persian carpets – dating prior to 1900 – were coloured with vegetable dye, while more contemporary Persian carpets are dyed with synthetic dye. When buying a Persian rug, you should look for one coloured with vegetable dyes, as these carpets are more vibrant than those coloured with synthetic dyes. 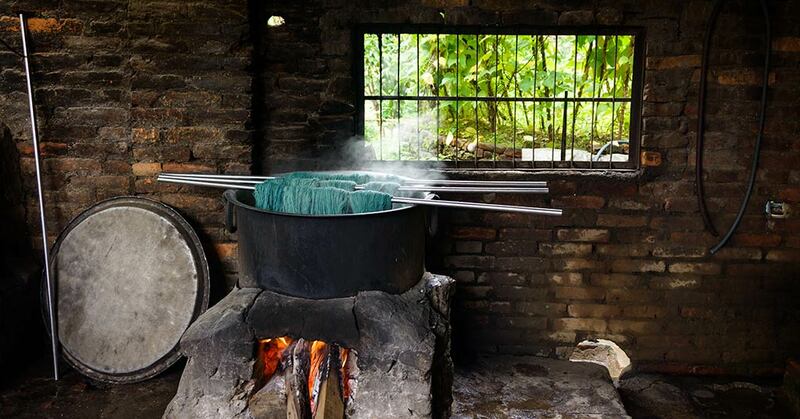 Vegetable dye is also the superior choice as the colours will not run, and are more varied than in a carpet dyed with synthetic dye. You can tell when vegetable dye has been used by looking for a variation of shades in the carpet. Experts advise that oranges and hot pinks are usually an indication of the use of chemical dyes. 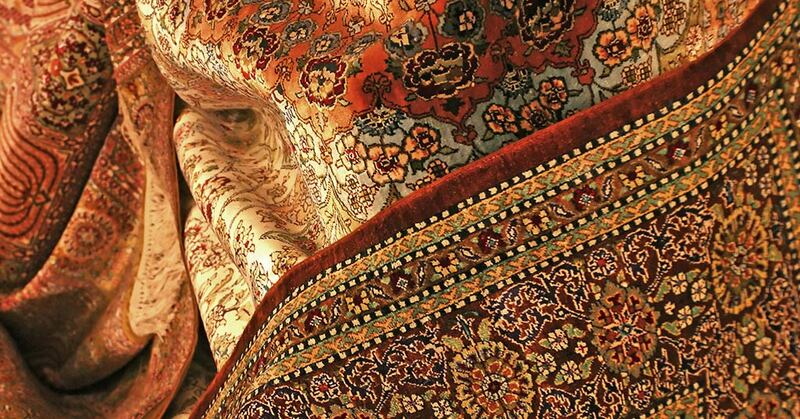 Persian carpet weavers continue using a number of traditional designs, some dating back hundreds of years. Common motifs include parrots, peonies, lotus flowers, peacocks, pomegranates, hands and stars. 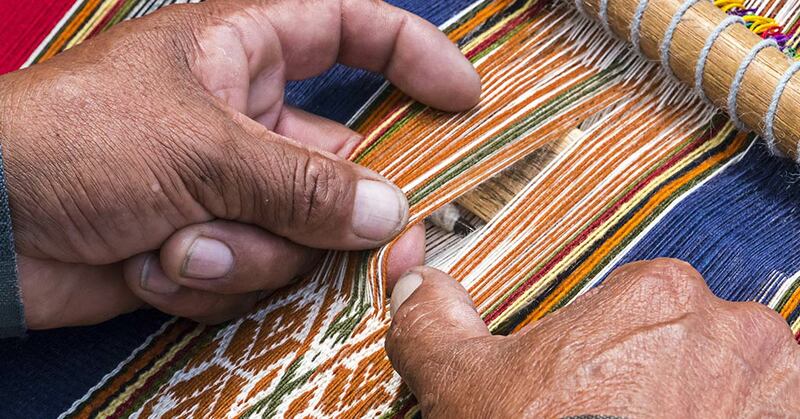 You can do some research on particular motifs to determine the region where a rug is likely to have been made. A Persian carpet is an investment and should be handled with care. Protect it from heavy traffic and exposure to direct sunlight, and vacuum regularly – although avoid using a beater bar, especially on an old or more fragile rug. If there’s a spill, act fast. Blot up liquid with paper towel; also place some paper towel under the carpet to help prevent damage to its backing. Avoid using any harsh detergent. Periodically, have the carpet professionally cleaned to ensure it stays in optimal condition for as long as possible. 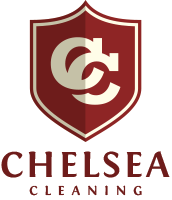 At Chelsea Cleaning, we offer expert, affordable cleaning of all types of carpets and rugs.